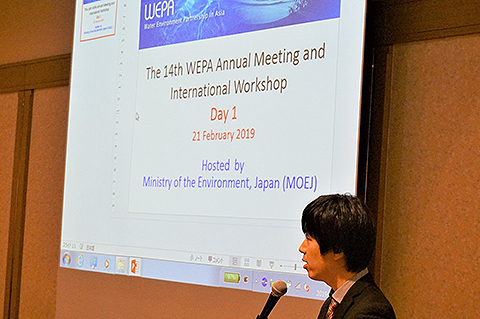 The Ministry of the Environment, Japan hosted the 14th WEPA Annual Meeting and WEPA International Workshop on 21 - 23 February in Tokyo, Japan. 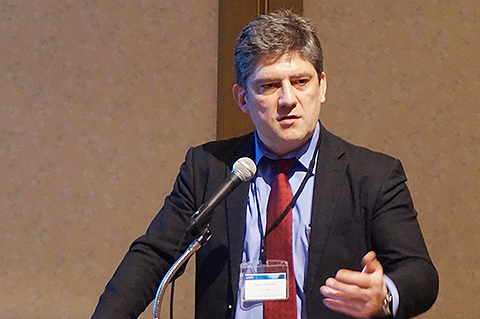 The series of meetings was held with participation by all thirteen WEPA partner countries and Japanese experts with started by the International Workshop held on the first day under the theme of “Roles of decentralized wastewater and septage management in addressing the challenges and accelerating the progress of Sustainable Development Goal 6 (SDG6) in Asia”. 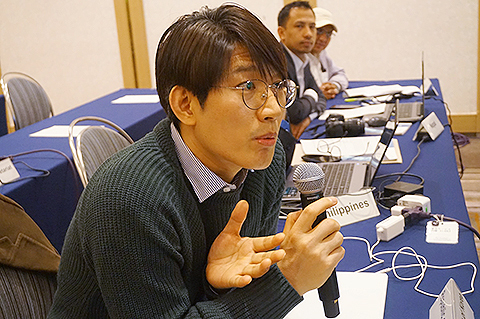 WEPA has focused on domestic wastewater treatment and the decentralized wastewater treatment system (DEWATS) since 2012 as one of its approaches to improve water governance in Asia. On another front, since the Sustainable Development Goals (SDGs) was set in 2015, many countries are starting to take various approaches to achieve the goals and WEPA partners are no exception. Addressing the issue of DEWATS appropriately can accelerate the progress of SDG6 - Clean water and sanitation - in Asia. The workshop was concluded with the rediscovery of the significance of comprehensive and integrated water management systems, as well as that DEWATS can be an important option to contribute to it and achieve SDG 6 in each partner country. 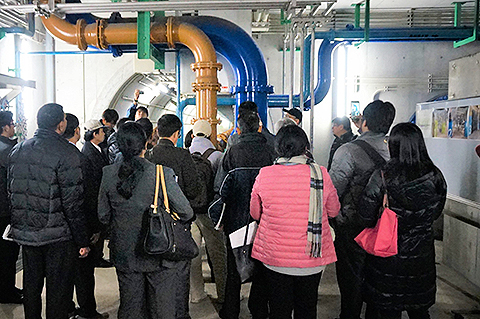 In the afternoon, participants visited Iriezaki Wastewater Treatment Plant and Kawasaki Marien in Kawasaki City, Kanagawa Prefecture with the support of the City of Kawasaki and Japan Environmental Sanitation Center. Participants took a tour of the treatment plant and viewed Japan’s actual Johkasou treatment. Experiences of WEPA partner countries - Addressing the challenges and accelerating the progress of SDGs through the introduction of decentralized wastewater management approaches.